Shaolin stars: Andy Lau, Nicholas Tse, Fan Bingbing and Jackie Chan. Ready for some subtitles? As feuding warlords fight to expand their power, the noble monks of the Shaolin temple clean up the mess left behind, tending to the injured while trying their best to protect the poor and weak. The young general Hao Jie (Andy Lau from “Warlords” and “Infernal Affairs”) has caused much of this mess, with his violent and ruthless tactics that rarely discriminate between soldiers and civilians. 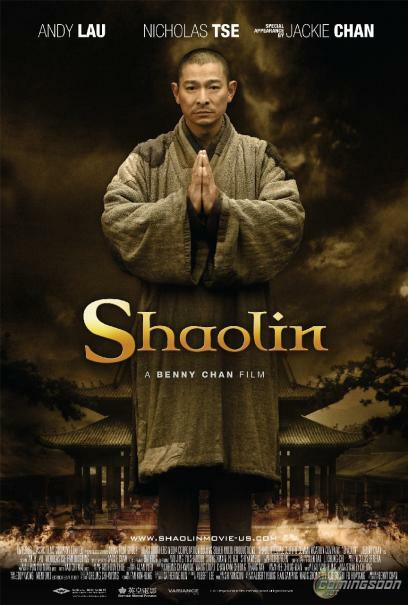 When Hao is betrayed by fellow general Cao Man (Nicolas Tse from “The Promise” and “Shaolin Soccer”), he is forced into hiding, and takes refuge with the monks (including Jackie Chan) at their hidden mountain temple. As the days pass, he finds himself more and more at ease, as he learns the ways of peace. But Cao is not far behind, and war soon reaches the temple, where the monks are ready to fight back with a fierce style that none of the warlords have ever seen- their unstoppable Shaolin Kung Fu. This one arrives on September 9th…. will you be going? PHOTO: Katy Perry Goes PINK!